July 05, 2018, 5:00 p.m.
Americans’ worldview is quite different from the one they believe their President holds, according to the latest Economist/YouGov Poll. The differences extend to how the public and the President see America’s traditional allies and neighbors, and how they view the country next on President Trump’s summit meeting list — Russia. 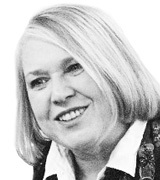 To Americans, Russia is an unfriendly power, perhaps an enemy. The American people hold an unfavorable view of Russian President Vladimir Putin. But what they think the President believes is quite different; by two to one, they think the President has a favorable opinion of Putin and that he is as likely to think Russia is a friendly nation as to believe it is unfriendly or an enemy of the United States. There is little difference between Republicans and Democrats when it comes to how they personally see Putin – very negatively. Republicans are closely divided in how they believe the President views the Russia leader, while independents (by more than two to one) and Democrats (by more than four to one) think Donald Trump has a positive view of Putin. More Americans think the President holds a good opinion of Russia than believe he thinks positively about the U.S.’s neighbor to the South, Mexico. 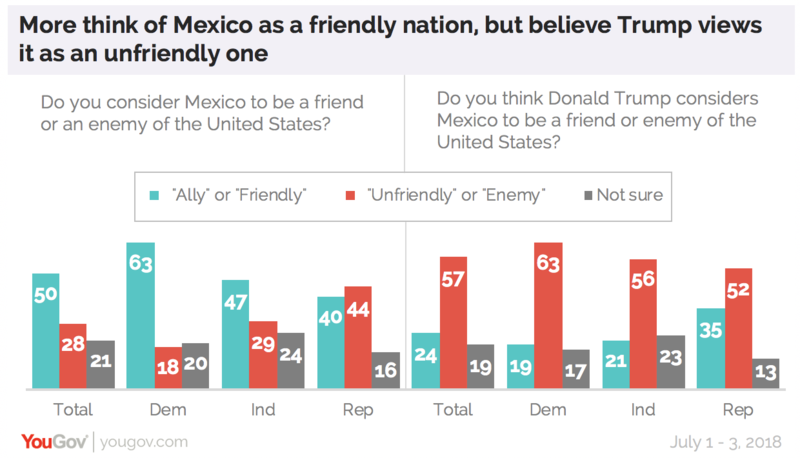 Majorities in both political parties say Mr. Trump views Mexico as unfriendly or as an enemy. While Republicans narrowly agree with him on this assessment, the public overall does not. Similarly, only 9% nationally look on North Korea as a friend or ally; 29%, more than three times as many, say that’s how the President sees the Hermit Kingdom. Far fewer believe President Trump thinks of long-time allies like the United Kingdom, Canada and Germany as friends than believe that themselves. For example, 66% of Americans view Germany as a friend or ally to the U.S., and just 14% disagree. But less than half, 45%, say the President views Germany as a friendly country; nearly a third, 29%, think he sees Germany as unfriendly or even an enemy. These assessments matter as the President prepares for two important foreign meetings: the NATO (North Atlantic Treaty Organization) summit next Wednesday and Thursday (July 11-12) in Brussels, Belgium, and the meeting with Russian President Putin the following Monday (July 16) in Helsinki, Finland. Americans like NATO: 45% hold a favorable opinion of the organization, 24% do not. Those figures are not much different from what they were before President Trump took office. Republicans have been more skeptical about the organization for years. In this week’s poll, 42% of Republicans are favorable; 40% are not. 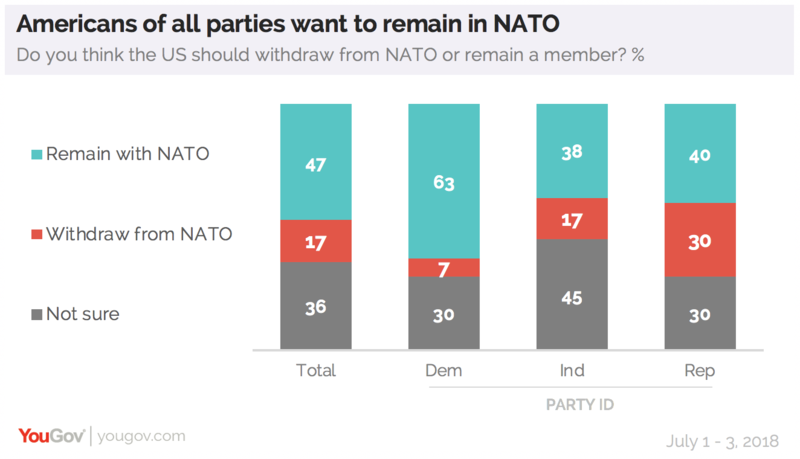 But Americans of all parties want to remain in NATO, though Republicans are more closely divided. While the President has not threatened directly that the U.S. could leave NATO, he has expressed dismay at the amount being spent by those countries on the organization. All groups want the United States to keep its commitment to defend NATO allies if they are attacked. As for the Trump-Putin relationship, Americans are divided in a partisan way on whether it is a good or bad thing for the country. Part of that may be due to perceptions about Putin himself and advantages many think he has over the American President, and general concerns about Russia. By three to one, Americans see Putin as a strong leader (they are divided when it comes to evaluating the leadership skills of President Trump). Those with an opinion see Putin as having good negotiating skills, while as many are dubious about the President as a negotiator as say he is a good negotiator. Most still consider Russia a serious threat to the country, though not necessarily an immediate one. Still, just as they said before the President’s meeting with Kim Jong-un, there is some limited hope. 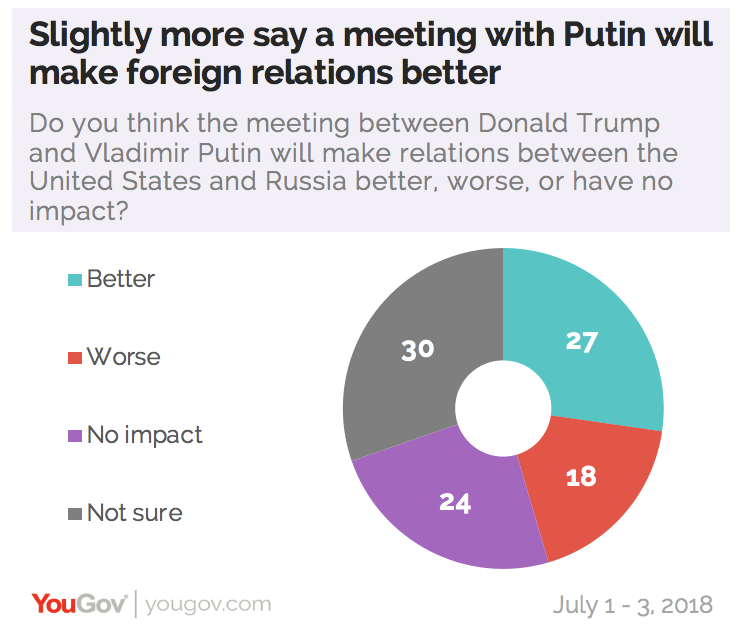 More think the meeting with Putin will make relations between the countries better than say it will make things worse, though as many say it will have no impact as think it will help.